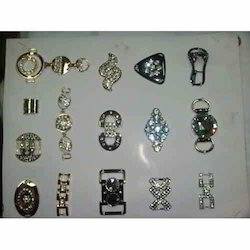 Our range of products include decorative shoe buckles, multi decorative buckles, decorative buckles straps, jewelry decorative buckle, crystal buckles and decorative shoe buckle clips. 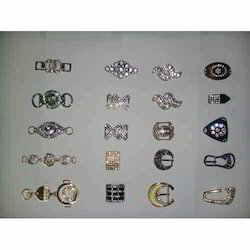 Our quality range of Decorative Shoe Buckles finds huge demand in the market and has helped us garner a rich clientèle. Since our inception, we have been efficiently catering to the requirement of the footwear industry and have been providing them with defect-free shoe buckles at industry leading prices. 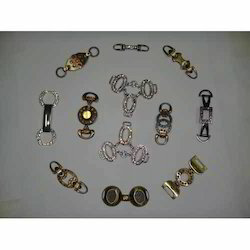 To ascertain the quality of these buckles, our quality controllers strictly supervise the entire production process. We are one of the leading manufacturers and suppliers of a quality range of Multi Decorative Buckles. Made available to our valuable clients in varied unique designs, styles, patterns and colour combinations, our decorative buckles have helped us garner a rich clientèle in the market. We also offer customisation facility on these buckles. Reasonable pricing and timely delivery of multi decorative buckles have made us the preferred choice of clients. 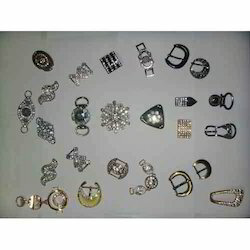 The premium quality Decorative Shoe Buckle Clips offered by us are designed complying with the latest trends. 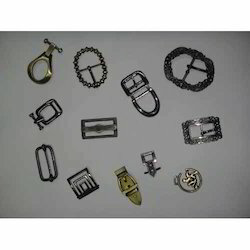 Finest quality metal, leather and other material are used to manufacture these shoe buckle clips. In accordance with the variegated demands of clients, we make our exclusive range available in various designs, styles and sizes. Buckles offered by us are known to enhance the look of footwear. 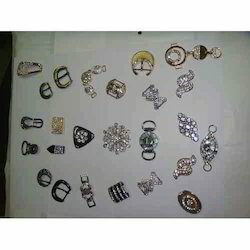 With the esteem support of our experts we offer this Decorative Antique Jewelry Buckles that are widely used on garments, shoes, bags, cell phone, wedding decorating etc. We fabricate these using premium quality materials and latest technology. 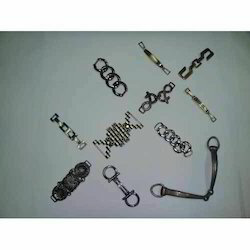 They are used as accessories in clothes, bags, shoes, belts and in animal collars. These are offered in customized solutions and can be purchased at reasonable prices. Clients can avail these products in different dimensions and are tested before dispatching to our clients. Manufactured using premium quality raw material, our Metal Decorative Buckles are appreciated in the market for their attractive design and excellent finish. To accommodate individual requirements of clients, we make these buckles available in customised designs and sizes. Used for making shoes, bags, animal collars and belts, our quality metal decorative buckles find huge demand in the market. 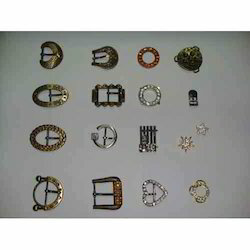 Looking for Decorative Buckles ?